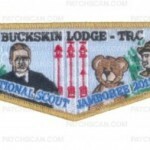 Time to get caught up on some new Buckskin Lodge #412 issues sent in by Brian Petrowski. 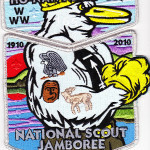 Here is the first, a 2-piece set for the 2010 NOAC. 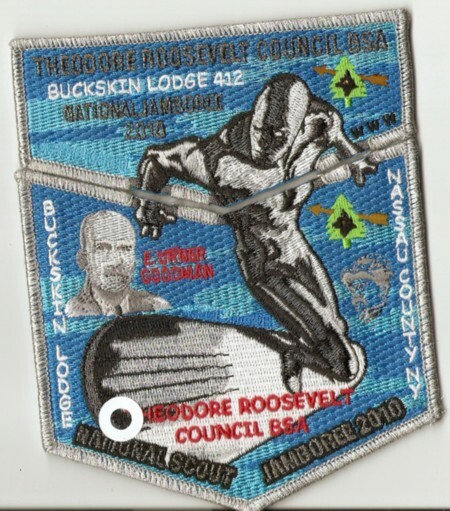 As they have for the past several years, Theodore Roosevelt Council has issued a set of JSP’s featuring characters from Marvel Comics. There is also a 2-piece st from the Lodge featuring the Silver Surfer.